What Does Jarrow Formulas Milk Thistle Do? 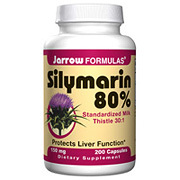 Jarrow Formulas Milk Thistle supports Liver Function. 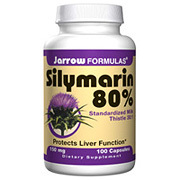 Jarrow Formulas® Milk Thistle (Silybum marianum) 30:1 extract is standardized to contain 80% total Milk Thistle seed flavonoids, including the important Silymarin fractions isosilybinins A and B, silybinins A and B, silychristin and silydianin. Jarrow Formulas, which is based in Los Angeles, California, USA, is a formulator and supplier of superior nutritional supplements. The company was founded in 1977 and incorporated in 1988. Today it markets its products in the United States, Mexico, Canada and throughout the world. Jarrow Formulas’ goal is to promote optimal health with high quality, effective, affordable and “cutting edge” formulations, which are based on sound scientific research data. The company’s professional staff is actively involved in clinical studies and in working with researchers from universities, institutes and other academic environments around the world. Jarrow Formulas strives to provide the best service and technical support to its customers. Jarrow Formulas’ complete line of nutritional products includes vitamins, minerals, probiotics, standardized herbal concentrates, amino acids, enzymes and enteral nutrition products. Both retailers and consumers are assured of purity, value and potency when choosing these products. The company is active in monitoring governmental regulatory affairs, which affect the nutritional industry. It also vigorously promotes the rights of Americans to free access to dietary supplements.